For most people the process of getting divorced is physically and emotionally draining. The financial costs associated with a typical divorce compound the stress and anxiety even more. Parents in particular can be left feeling exhausted and confused about which way to turn for help. The court system views the dissolution of marriage to be a legal issue but it is so much more than that. Unfortunately, the emotional, financial and physical aspects of raising a child can be left unresolved without proper support from a professional mediator. Johnson Mediation is an excellent resource for individual parents or couples who could benefit from a fresh perspective on divorce transition and successful co-parenting going forward. The stages of pre-divorce, during the divorce process and post decree can result in adverse affects for parents and children alike. Many try to navigate a divorce transition with the support of friends and family only to wind up with hurt feelings. Divorce mediators have training in respectful and responsive ways to resolve family issues. Having the assistance of a neutral party can make it easier for individuals to discuss the many difficulties of single parenting more openly and honest, making for an easier transition to the next phase of life. The advantages of using a professional mediator to guide you through all stages of divorce from initial separation to post decree can be substantial. The ultimate goal for most parents who have been through divorce or are currently divorcing is to become the parent that your child deserves. Individual parents must learn to love their children more that they dislike their ex. 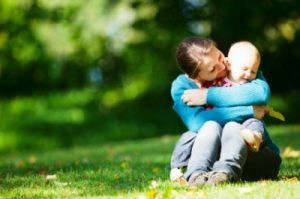 Making the transition from a bitter spouse to a successful co-parent may take the guidance and support of a trained professional. To find out if a parenting consultant or mediation professional could benefit your family, you are welcome to schedule a free one-hour consultation with Johnson Mediation. From the moment the decision is made to separate from your partner to the days, weeks and months after the divorce is finalized, the entire process can be turbulent. Divorced parents can be left feeling alone and unable to process all of the challenges of raising a young child or teen without the support of a parenting partner in the home. Confidential support for individual parents is available from a family mediation professional at Johnson Mediation. With the right support, you can look forward to the next phase of parenting. Feel confident that you can move forward with an improved relationship with your child. Contact Johnson Mediation to schedule a Free 1 hour Consultation to see if Mediation is right for your individual family. Call: (952) 401-7599.